Costa del Sol Airport will host the exhibition of paintings and prints ‘Flying among dreams’ of the painter and designer Paola Aragon. It brings together nearly fifty engravings and paintings of allegorical reminiscence. Specifically, these are the paintings and engravings of the Chilean painter and designer, member of the Andalusian Association of Illustrators and the Association of Plastic Artists from Malaga (Aplama), which proposes a dreamlike and colorful journey. 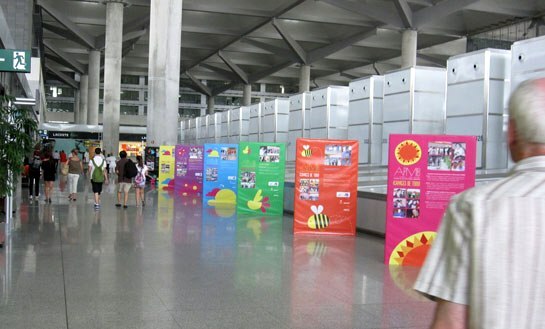 The exhibition will be open until July 31 in the exhibition hall of the T3 in the arrivals area, Tuesday to Sunday from 10:30 am to 1:30 pm and from 5:30 pm to 8:30 pm.